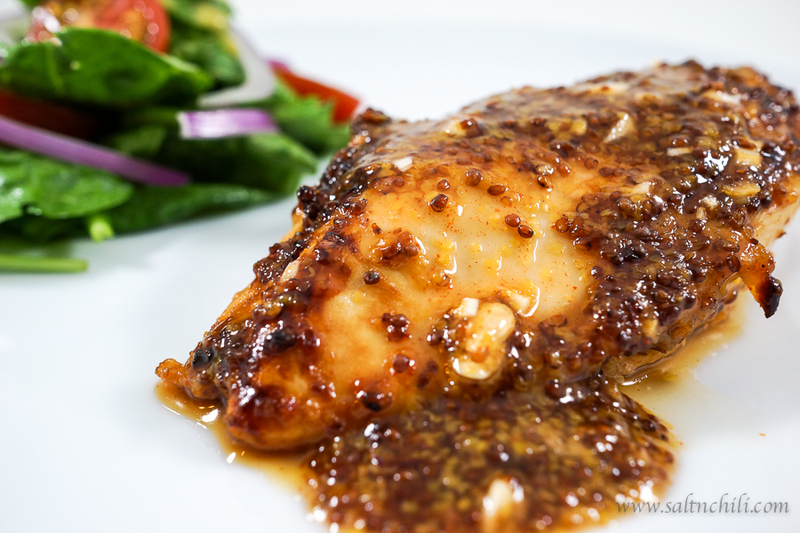 This honey mustard chicken breast recipe is one of the best recipe’s I’ve found on the internet. Maybe I’m biased because of my love for honey mustard, but tell me, who doesn’t love sweet and tangy honey mustard? This is one of my go-to recipe’s when I’m looking to make a quick and tasty dinner! And I’m quite sure oven-baked chicken breasts are a big tick for healthiness. In the original recipe, the chicken is grilled, but I oven baked it instead. Living in Hong Kong doesn’t give me the luxury of having a BBQ oven on my balcony (not that it is allowed or would even fit), so I improvised. If you get a chance to try this recipe, let me know if you love it as much as I do! Mix everything together to create the honey mustard sauce. 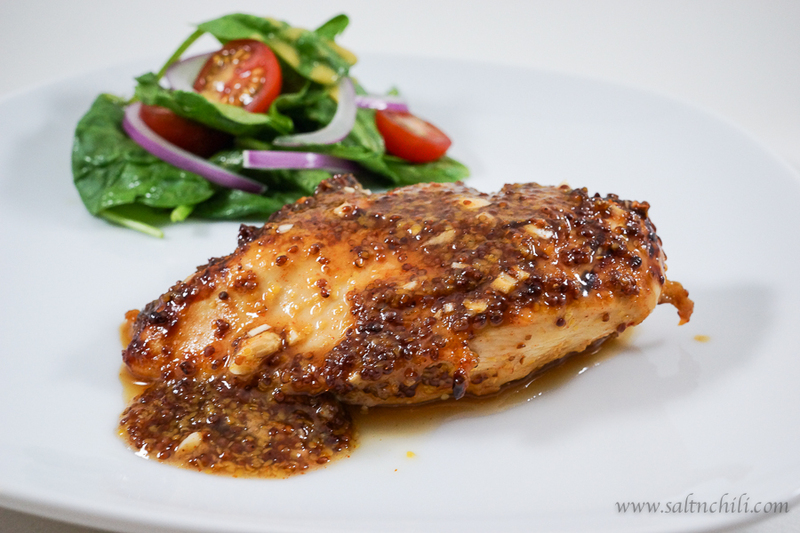 Marinade the chicken breasts for 30 minutes. Oven bake the chicken breasts and serve. 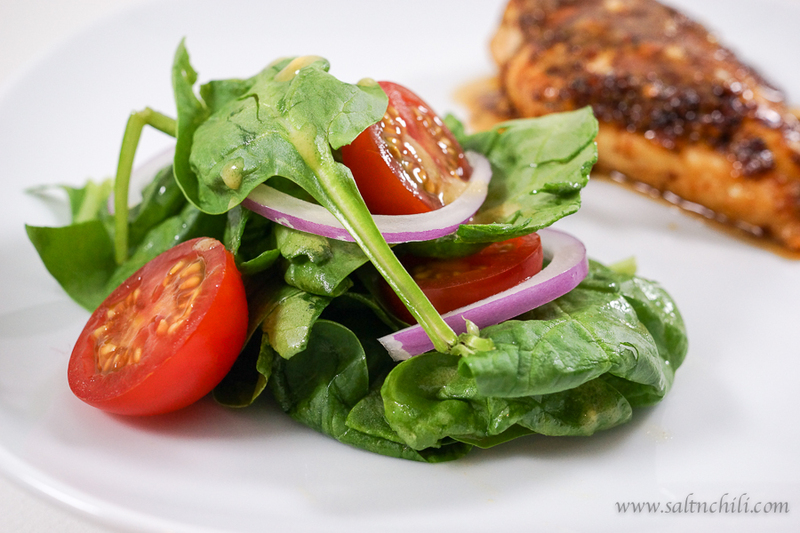 Make a simple salad to complete this healthy meal. 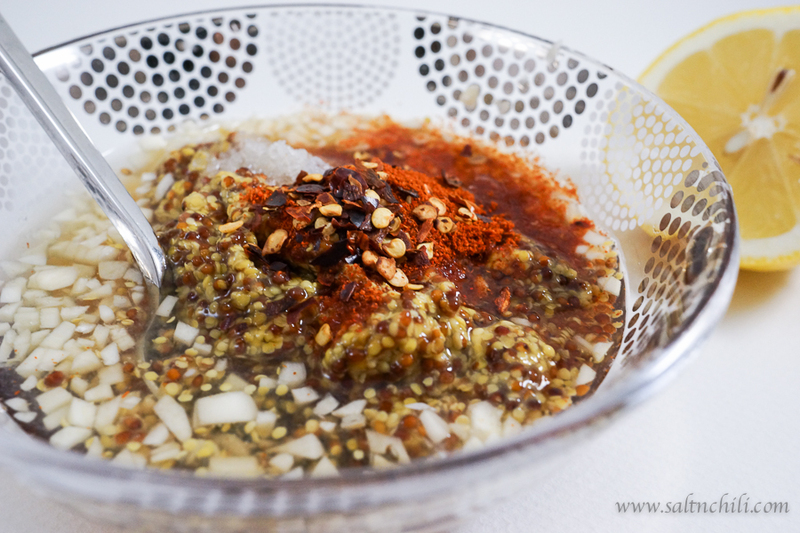 Mix the mustard, honey, lemon juice, garlic, paprika, cayenne, chili flakes and salt together in a small bowl. Reserve 2 tbsp of the sauce in a separate bowl. 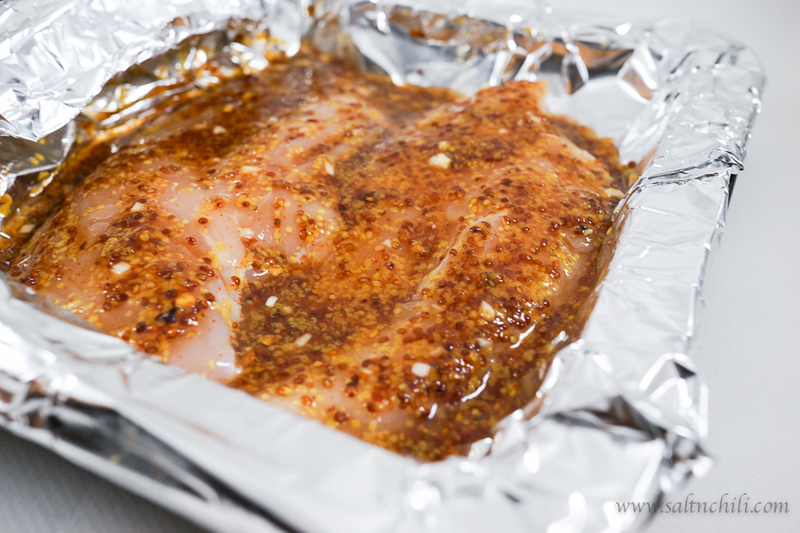 Line a baking dish with aluminum foil and place the chicken and the remaining honey mustard sauce in, marinade for 30 mins. Place the baking dish into the oven for 20 mins or cook until the chicken is done (times may vary with different ovens and thickness of the breast). Pour the reserved honey mustard sauce over the chicken. Serve and enjoy! Thanks! Omg, I am trying to eat less red meat as well! Do let me know if you liked the recipe.